Vocabulary is viewed as a major part of language proficiency as it allows learners to use four language skills: listening, speaking, reading, and writing. This importance is recognized whether the language in question is a first, second, or foreign language. According to Tseng and Schmitt (2008, p. 358) Teaching materials that raised learners’ interest and motivation led to better word learning and demonstrated that both integrative motivation and instrumental motivation can facilitate vocabulary learning. Indeed, given the significant role that motivation plays in language learning, further research needs to be undertaken to systematically examine its effect on the vocabulary learning process. Deng, (2010, p. 15) point out the students are expected to be persistently motivated in vocabulary learning, to engage in vocabulary instruction, meet vocabulary learning standards to pursue required accomplishment. Central to understanding students’ behaviors and emotions in vocabulary learning activities, students’ motivation is a necessary step toward indentifying the factors that affecting students’ behaviors and emotion in vocabulary learning. Motivation is what activates behavior and helps individuals persist in given tasks. Bočková(2007, p. 25) One of the factors that have a verystrong effect on success or failure in learning ismotivation.It is not easy at all to find the right and most appositecharacteristic for motivation. Inotherwordsitcouldsimply be said that without motivation there would students produce no action, activity or doing and consequently there would be no effort developed toacquireanyknowledge. Besides motivation, learning and acquiring vocabulary and grammar there is another crucial aspect of language teaching/learning. It is a necessity of regular feedback on development and success in students’ performance of the language. 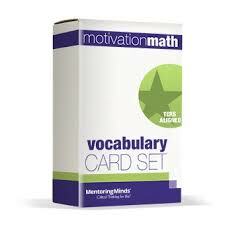 Belum ada tanggapan untuk "The Correlation Between Motivation and Vocabulary Mastery"